A rummy tournament is the most exciting thing to happen to any good rummy player. A good player wants occasions like tournaments to reveal his superior skills in rummy. However, there are many things you need to keep in mind before heading to be a part of the rummy tournament. Before participating in a tournament, you need to know what are the rules governing the tournament. Usually, when you play rummy online tourney, you have an entry fee or a buy in amount. You need to find out what this amount is. You must also take time to read the clauses for a certain tournament. There will be information regarding the number of participants and the levels of the tournament. Read what the prize money is. Know the Indian rummy contest rules and understand all these facts before you participate. If you have any queries regarding the tournament, ask the site regulators. How to quickly form life? How to avoid throwing cards that maybe useful to the opponent? When should you pass a game midway? How to know if your hand is so bad as to quit at the beginning? If you are participating in a particular classic rummy competition, you can chat with previous participants on the site and see how their experience was. This will give you a clear picture whether the site is reliable and whether you can invest on playing with cash. Once you have made sure the site is reliable, you can go ahead and participate. The same rule applies when you play rummy offline in some club or gathering. Be cautious against frauds and verify before you participate. While, as a participant of competitions, you need to know each of these variations, you must practice the particular variation that will be played. Practice prepares you better for the final game. If you are participating for a tournament with cash prize and entry fee, you need to be alert. Some platforms allow you to play rummy games free and then ask for a hefty deposit. There are many frauds happening online in the name of rummy tournaments. It is thus important that you read the clauses of the tournament well before participating. This will prevent you from being cheated off your money. Even when you are completely well prepared for the match, you may not win the game. That is why you need to be mentally prepared for victory or defeat. This will allow you to enjoy the game completely. A stress-free mind is the first to come up with best tactics to outwit the opponent and perhaps grab a big win. 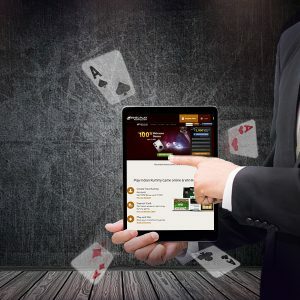 If you are looking forward for a rummy game or tournament, then do check out Khelplay Rummy website, which is a legit platform for card games lovers. You can even download its android or iOS mobile app and play on the move.